With the most recent measurements of the cosmic microwave background anisotropies and large scale structures of the universe as well as various other astronomical observations, it is now possible to have a clear and consistent picture of the history and content of the universe since nucleosynthesis. A feaverish activity is taking place for measuring the cosmological parameters with great precision, and for understanding better the origin of primordial perturbations, the nature of dark energy and dark matter, the mechanisms responsible for the formation of non-linear stuctures, and the implications of cosmological observations for particle physics. The workshop is aimed at bringing together international experts on both theoretical and observational aspects of cosmology, within a particularly beautiful and inspiring atmosphere, below the pic of Aneto, the highest point in the Pyrenees. The program will consist mainly on a few lectures and long discussion sessions, and will leave plenty of time in the afternoon for interactions and research, as well as for mountain hiking and trecking. In the evening, the village offers a warm and relaxing atmosphere that we will complete with various social and cultural activities. Participants are encouraged to arrive on Sunday July 30 and leave on Friday August 18, although shorter stays are possible. A free bus will depart from Barcelona (Universitat de Barcelona, Diagonal 647 ( metro: Palau Reial, green line) at 15.00h with a stop at the airport bays between terminal A and B at 15.30h on July 30. A return bus from Benasque to Barcelona airport will depart at 9.00h on August 18. The trip by bus takes 6h. The trip by car only takes 3.5h. This session has received financial support from the following institutions: BBVA, Ayuntamiento de Benasque, Universidad Autónoma de Madrid, Universitat de Barcelona, Universidad de Zaragoza, Consejo Superior de Investigaciones Cientificas and the Ministerio de Educaci�n y Ciencia. 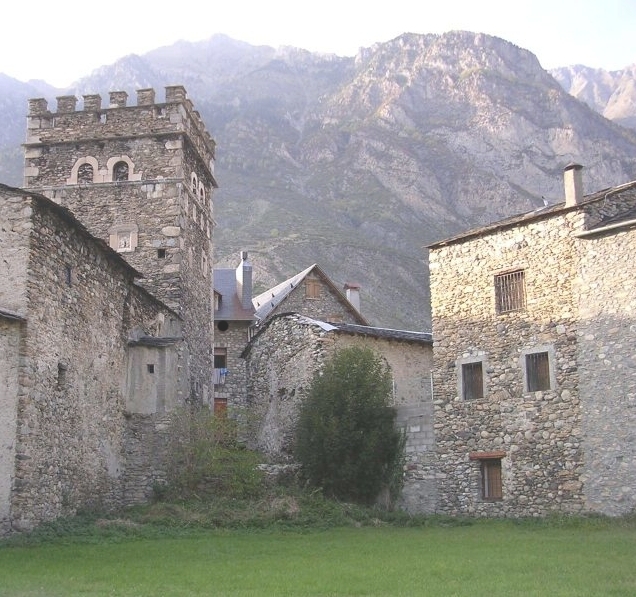 The Benasque Center for Science, the general Scientific Programme of the Center, and Tourist Information.